Warren Buffett has a cult-like following after decades of successfully investing capital under the legendary Benjamin Graham's value investing philosophy. 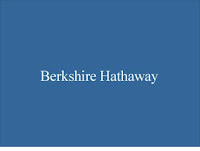 I, for one, am a big believer in the style and keep a close eye of Buffett's moves to study his company choices. Below are Berkshire Hathaway's top 15 stock holdings. This list excludes the multitude of fully-owned companies under the empire.